Will you still be authentic? April 24, 2015 April 24, 2015 by daviddsouza1804 Comments on Will you still be authentic? I recently started work with the CIPD. I’ll be doing a role that I consider to be genuinely worthwhile. If you live in London and work in HR or L&D feel free to connect. We’ll be doing some good things and I’d love more people to benefit from them. If you currently don’t think we are doing good things then I’ll buy you a coffee and you can tell me why. We are probably doing more good things than you think. I’ve only ever wanted my career to pass a test of ‘worthwhiliness’ so I’m currently very happy. There is no doubt, however, that the role is a significant change. Having ambled around conferences for a couple years saying whatever I like and looking scruffy, this career move has raised some interesting questions over ‘voice’ and ‘authenticity’. – are you still allowed to blog? – will you keep the beard? – will you have to wear a suit? I’ve never really understood the concept of authenticity. I understand it academically, but really I don’t find that many people ‘fake’. People talk about authentic leadership, but for me it is more a question of integrity, intent and adapting to context. My wife, my daughter, my friends, my family and people I work with will all see a different side to me – and I’ll talk to them all in different ways. Adapting your style to connect better with people isn’t inauthentic. It’s human and natural and healthy, because life isn’t about you; it’s about the relationships between you and others. lives, so it’s a pretty good match for what I’ve always tried to do when I get up in the morning. Will I change my writing or things I say? A bit. I’m probably not going to publish a ’10 things the CIPD needs to do better’ blog. But then that’s because I get to spend my days helping the CIPD try to do things better, which seems a more constructive use of my time. I will keep writing, I will keep thinking. Nobody has spoken to me about changing tone or content. Nobody has told me what I can or can’t speak about. The CIPD should be about exploring a complex world and how we have the best impact in that world as a profession, not about a clone army with one single stance or thought. We have a few vacancies currently, we are looking for smart capable people. I like to think we aren’t doing that with the intent of telling them to turn their brains off on day 1. Will you wear a suit? Sometimes, as I’ll be meeting organisations that take you more seriously in a suit. I don’t particularly agree with that mindset, but I’m doing my job to make a difference and my preference for clothing is a reasonable sacrifice for making work better for others. 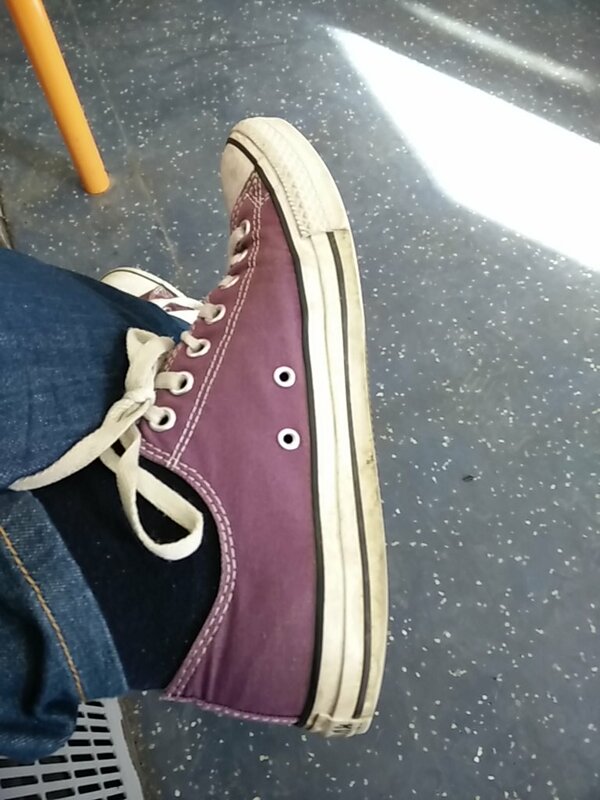 I won’t enjoy it though… Occasionally I’ll get to wear my on brand trainers. On the days that I can, when I don’t have external meetings, I will wear jeans. Clothes do not maketh the plan. Oh. And yes I mean ‘worthwhiliness’, it sounds more fun than ‘worthwhileness’.